It’s a look you don’t often see on the faces of donors to a new project — envy. 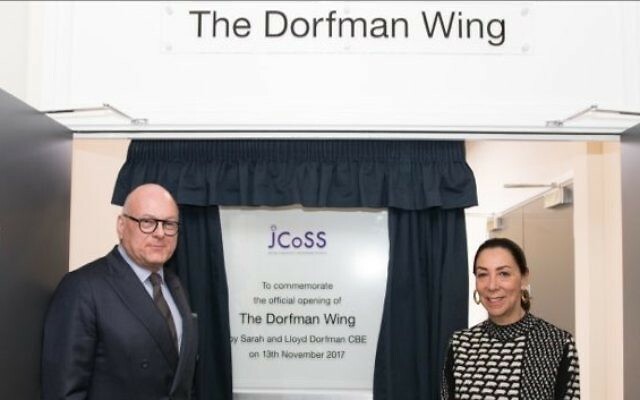 But almost without exception, the adults filing past the state-of-the-art classrooms in the newly-opened Dorfman Wing at JCoSS school were wearing that expression. As Dame Gail Ronson put it: “This is just fantastic”. 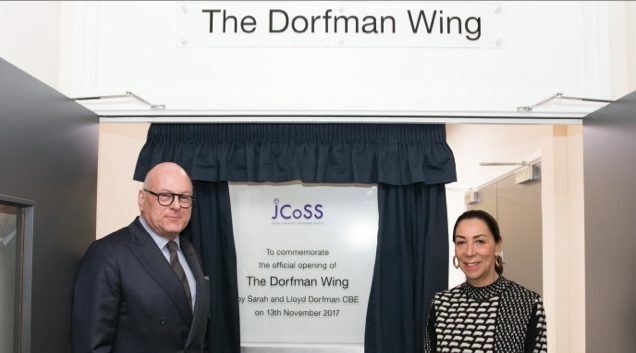 She and her husband Gerald, the president of JCoSS, were among a core group of donors, governors and trustees invited to celebrate the opening of the new wing, whose principal benefactors are the businessman Lloyd Dorfman and his wife Sarah. The wing offers new classrooms plus a dedicated art room, an IT (information technology) room, and a DT, or design technology area. If the adults were in any doubt about the added extra which the new wing brings to the 1200 pupils at JCoSS, the school’s head girl and head boy, Ruth Launer and Samuel Danker, made sure how much it was appreciated. Both students spoke warmly about their time at the school and the opportunities it had opened up in continuing their education. “Not many schools can boast that their students are excited to come to school every day”, said Ruth Launer — but the breadth of facilities on offer at JCoSS, which opened seven years ago, must contribute to that. Gerald Ronson spoke of the initial struggles in trying to launch JCoSS. “We were told what it should and shouldn’t become. Now it is the most oversubscribed Jewish secondary school in the country”. It offered “an excellent and inclusive education” with opportunities both for the clever student and for those with special needs, Orthodox or Progressive, observant or non-observant. “We are building the community of the future”, Mr Ronson declared. 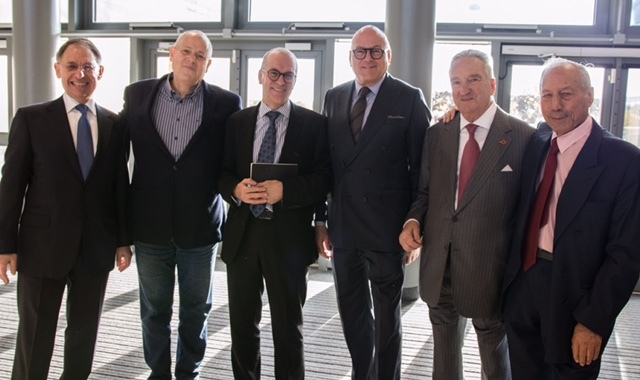 For Lloyd Dorfman, “a cross-community anything is really good news”. Anglo-Jewry was small enough without divisions, he said, so he was very happy to support JCoSS, and said that he was “pleased and proud” to have been involved in helping to finance the new wing.